Know how competences concern job related knowledge and work related skills that are reflected in employee, team or business unit performance. 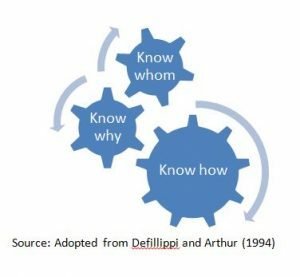 Know why competences are seen in the way in which leaders (and others) understand their own motivation and are able to identify with organisational goals. 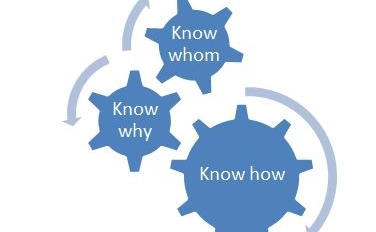 Know whom competences are about networking both within and outside the organisation. Leaders with these “three knows” stashed in their toolkit are unlikely – especially in today’s changing organisations – to rely over much on career pathways. They are more likely to see career development as a network of ‘crazy paving’ that they lay themselves. They are also likely to recognise that career paths are increasingly likely to be diverted and interrupted and that their own career development may be facilitated by lateral and other moves. Leaders who are adept at managing their own careers also tend to recognise that learning and career development can occur at any age and career stage and that access to opportunities is influenced by family, personal and community roles and can be facilitated by work outside paid employment. Previous PostAvoiding the “Contribution Deficit”Next PostWhat Is Talent? What Can Be Learnt Through An MBA?